What is a Moving Meditation? Meditation can do way more for you than you may realize. It has fantastic health benefits, especially for your brain. Meditation can reduce anxiety, ward of disease, prevent stress and make us smarter… It can even help with weight loss. The problem is most people report they don't have enough time to sit with legs crossed and eyes closed. But, good news! If you don't have the luxury to carve out an hour every day to meditate you can try a moving meditation. Ah, but what is a moving meditation, you ask? Well, first let's quickly take a look at traditional meditation. Traditional meditation is where you sit still and get to know your monkey mind. The aim is to shift and transform your mind often using various techniques like breathing exercises, mindfulness, mantras, and visual or guided meditation. Meditation is a way to better clarity and self-awareness. But you can also shift your consciousness while you're doing simple, ordinary tasks. Sitting alone in a quiet room with your legs crossed and eyes closed is one way to meditate, but it is by no means the only way to get the benefits of meditation. The other way to do it is when you are in motion. Here are some alternative forms of meditation that don’t need you to sit with your eyes closed. If you enjoy walking or hiking, you're probably already doing walking meditation without even knowing it. When you walk many different things happen. The first thing that happens is that you release endorphins. These are the chemicals in your brain that make you feel happy. An endorphin ‘high boosts your mood and increases your energy… And it can last for several hours! When you are walking or hiking you are in constant motion, without a lot of distractions. This allows you to keep your mind clear as you take in your surroundings. Meditating in motion is a way you can practice being present in your body, whatever it is and whatever it is doing. Being in motion can help with meditation because you are in the present moment. You are not in the past or future. You are part of nature and contain nature's elements. Have you ever noticed that when you walk or hike your mind is clearer and you are better equipped to just be with what is? 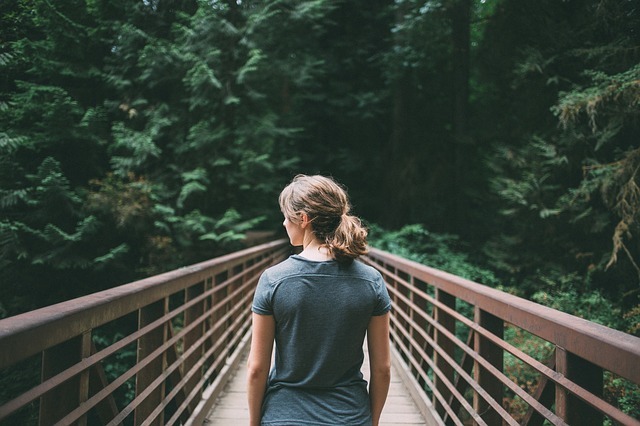 Here are a few reasons why walking can help you with your meditation practice. First of all, when you are walking outside, you may have fewer distractions because you won't have other people around to bother you. You achieve mental clarity – Walking in itself provides amazing clarity for your mind. Your thoughts often become more relaxed making it possible to get to a place where you can perceive things in an entirely different way. The scenery provides visual meditation – Have you ever tried to do guided meditation? If so, you know that the script often takes you through different scenery, like a forest or beach. The same thing happens when you are walking in more of a scenic place. Your surroundings can often bring your mind to a clearer and more relaxed state. Mindfulness is when you are mindful of whatever is happening now. For instance, you note how you feel, what you’re thinking about, what you are doing, what you see, and what you smell. You use all your senses to enter a mindful state without thinking about the past or future. You enter a meditative state by just experiencing your walk. 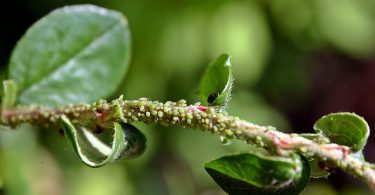 Smell the salt water if you’re by the ocean, or look closely at flowers and leaves and plants when walking through a forest or park area. This is something you can do no matter where you are walking. Another way to do a walking meditation is to listen to music. Meditating with music is a type of mindfulness practice and the fun part is you can choose ANY type of music… Even heavy metal if that suits you. When you practice mindfulness you are not trying to achieve a particular state. Rather, you are working with whatever comes up inside while listening to the music you've chosen. Try different types of music and note the changes. As you know, breathing is a big part of any form of meditation. When you meditate with your eyes closed, you are focusing on your breath going in and out. In this way, it helps you to focus on something as you begin to clear your mind. Now try focusing on your breath when you're in motion. Take deep breaths, and experience the movement and motion of your body. As you walk, focus on your breath coming in and out of your body, the movement of your arms and legs. A walking meditation should be continuous, so pick a place with space to roam freely, like a park or trail in the woods. Another way that you can practice a moving meditation is when you are in the shower. In fact, showering is the ideal time to create a mindfulness ritual into your daily routine and start your day off right. Shower time is a perfect time to be fully engaged in the present sensual experience. The sensory experience of water falling over your head and body makes for a perfect environment that cleanses not only your body but also your mind. Also, it allows you to get in touch with your body and learn to be comfortable in your skin without judgment. But how does meditating in the shower work? Well, you are still just taking a shower as you usually do. But now you are going to use your senses to enter a peaceful, zen-like state. In other words, you get out of your head and offer yourself to your senses. The warm temperature of the water is soothing and relaxing. You can feel the warm water and soap running over your body from head to toe. Your sense of smell is such a powerful tool. It can quickly improve your mental clarity. Smell the aroma of the soap, shampoo, and conditioner. Bring deliberate, focused attention to right now. Let go of any past memories or future plans. Focusing on your senses in the shower is a fantastic way to bring your awareness to the present moment and nothing else. Another powerful shower meditation is to visualize the water and golden light. Gold has a high vibration that brings soothing vibrations to the body and mind to aid the healing process. Hold the intention that it washes all negative or limiting energy accumulations down the drain. Yoga is a moving meditation. You link your mind and breath to create a meditative state. To start with, yoga is not just about the physical activity and the poses. While it is a great way to strengthen your body, improve your balance and flexibility, it is equally good for your mental and emotional health. Yoga provides you with a way to clear your mind, achieve clarity, and practice mindfulness. It is also ideal for people who want a few minutes a day for some added self-care. This is why meditating while doing yoga is so effective. The reason you can combine yoga and meditation into a single practice (if you prefer) is that they have many similarities. For one thing, you achieve the same level of relaxation with a clear mind in both of these practices. They are calming and allow you to reach an inner peace, even if momentarily. Another similarity is in the breathing exercises. You know with meditation, you focus on your breathing to clear your mind? Well, the same thing is done when you are practicing yoga. Any yoga instructor will tell you that your breathing is one of the most important aspects of yoga. Meditating during yoga can take your practice to a whole new level. It is about being in the present moment to foster a connection between your mind and your body. Keep in mind that meditation and yoga are not about how to make your mind blank. Instead, it's a means of concentrating on your breath into a steady rhythm to ease your mind and find a place of concentration. With both yoga and meditation, your aim is to bring more positive energy into your space. Let’s start this final section off by talking about the different types of daily life meditation. This can include any task you tend to do on a regular basis, that doesn’t require a lot of thinking or studying. For example, doing homework or working on a project is not really going to work. You need to be able to clear your mind and do the task effectively at the same time. Here are some other examples of daily life meditation you might try. A simple method of moving meditation is writing in your journal. You can use this as an opportunity for a brain dump to help clear your mind. Or you can meditate before writing in your journal, and write about your experiences. 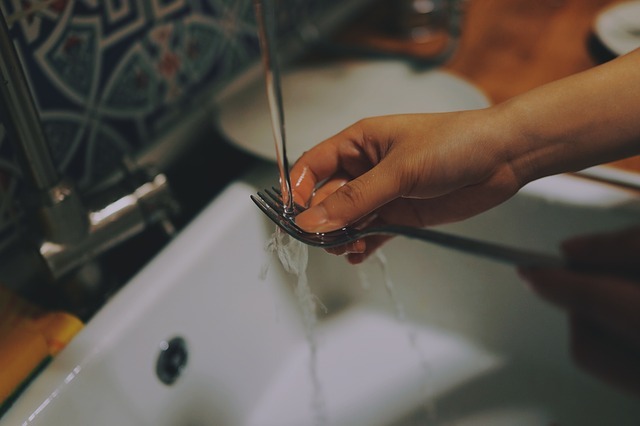 Cleaning and chores tend to be tedious and boring, so take advantage of that! Do a little meditating while you do these chores. Work on your breathing and mindfulness while sweeping, vacuuming, or washing dishes. Aside from walking your dog, you can also do some light meditating when playing fetch. Let your stresses lift and bring in positive energy with this simple task. It is also a good time to express gratitude for your dog and this simple activity. This is probably one of the best activities for both your mind and your body. You burn calories and get vitamin D from the sun by gardening. Plus you can release endorphins and really get into a good headspace for meditation at the same time. Spend time in your garden breathing in the aromas around you. Close your eyes and listen to the sounds in your neighborhood. Think now of other tasks you might do each day, where you could meditate while you do them. This could include self-care routines like brushing your teeth or washing your face. Remember when we talked about shower meditation? Think of this as your inspiration. As you can see, even if you are short on time, you can still get the benefits of meditation by practicing a moving meditation. Realize that any mundane task can be an act of meditation. What is important is to be here, living your life in the now…Noticing what is. You just discovered various ways to you can meditate beside the traditional sitting practice. Whatever type of meditation practice you choose, (traditional or moving) commit to it daily and turn it into a habit. Because meditation has powerful benefits if you practice it routinely; Less stress, greater relaxation, sharper thinking, improved memory, enhanced creativity and more. In the last 40 years, there have been over 3000 scientific studies at over 200 independent universities, all validating the life-changing gains of regular meditation. The secret is to find a meditation to suit your lifestyle. Personally, even though I have a busy schedule, Most days I still sit in the traditional way to meditate. But I do it in just 12 minutes! A few years ago, I was going through a particularly difficult time when a life coach I was working with told me about brainwave entrainment and Zen12. I even wrote about it here because it has had such a transformational impact on my life. 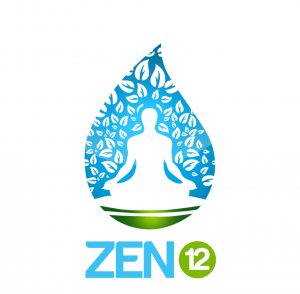 Zen 12 is for those of us who are short on time, have excessive mental chatter but want all the benefits of meditation. Brainwave entrainment is the ultimate brain hack. It can improve your life in ways you'd never imagine. The best part is Zen12 doesn't cost any money to give it a test drive. With this in mind, if you want to try the full program use the voucher code VZ54YTD6 during check out. In short, that will give you $50 off, making the whole package $37. The company has a 100% money back guarantee. Try one of these meditation styles to find a good fit for you and incorporate it into your daily routine because meditation is life-changing! Which meditation style is the best fit for you? Tell us in the comment box below. 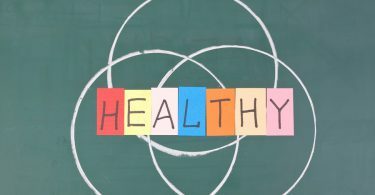 What Is Holistic Weight Loss About? Hello, thank you so very much for this information. Last week I visited my doctor — I let her know that lately I have been feeling quite anxious for apparently no reason at all. I told her that I want to avoid medication if at all possible. She recommended meditation, (if I could find time in my schedule) and walking at lunch to clear the mind. Your post gives me those and so many other options, even with a full schedule. Thank you for taking the time to post this. This is a wonderful post. I enjoyed the information lot. Last week I visited my doctor — I let her know that lately I have been feeling quite anxious for apparently no reason at all. I told her that I want to avoid medication if at all possible. Thank YOU for taking the time to write.